Pretty Books is a randomly occurring feature where I show you books that are especially pretty, both on the outside and the inside. 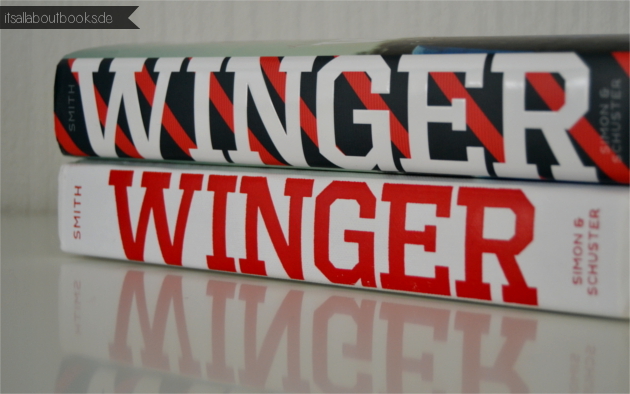 Winger is a YA contemporary that comes with this awesome dust jacket. I love that it has the cover on the back again in this comic style because that fits the story perfectly. I LOVE this spine. (it always grabs my attention when I look at my shelf). The book is about Ryan Dean West who is part of his school’s rugby team and I think the spine is just right for that. Both font and colors make me think of some sports team right away. 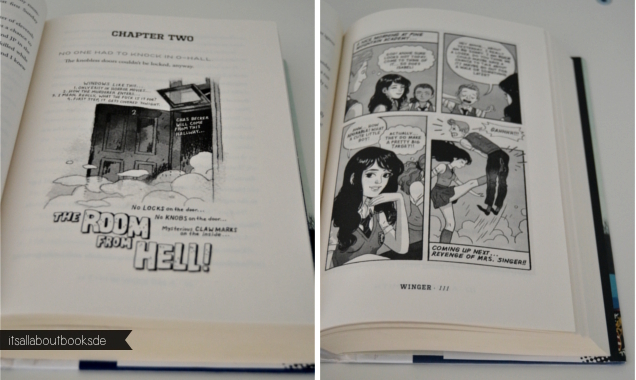 They also used that font from the spine for the chapter headings. Ryan Dean draws and these drawings are all over the book. I love that we do not only get to read about him drawing stuff but get to see it too. 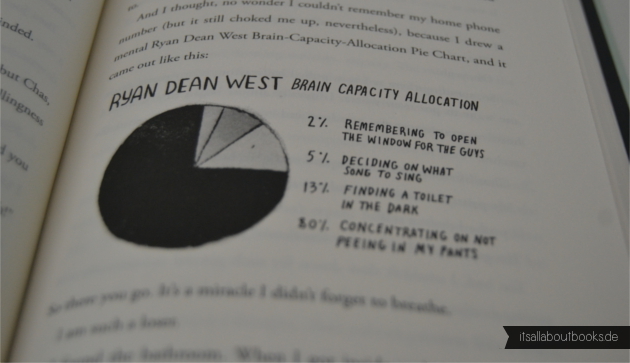 Ryan Dean also likes to make these charts that always made me laugh. es is so hübsch <3 T_T ich muss mir das jetzt wirklich mal zulegen, vor allem wegen dem 2. Teil….und so gut wie es mir gefallen hat, will ich ja eigentlich schon die Hardcover!